The majority of the water has been let out of one of the rice field ponds at Magnolia Plantation and Gardens in advance of some repairs to be made on the back dike. This has left a mud flat that is very attractive to the wading birds. 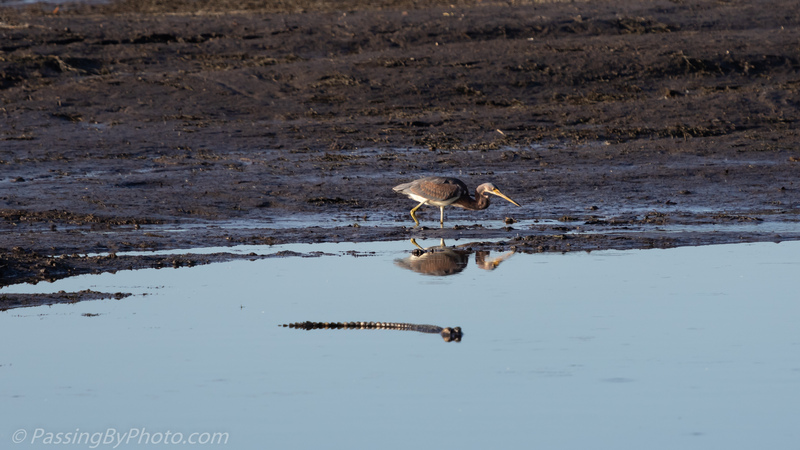 From a distance I thought the other creature was a stick but I could clearly see the eyes of a small Alligator as I got closer. 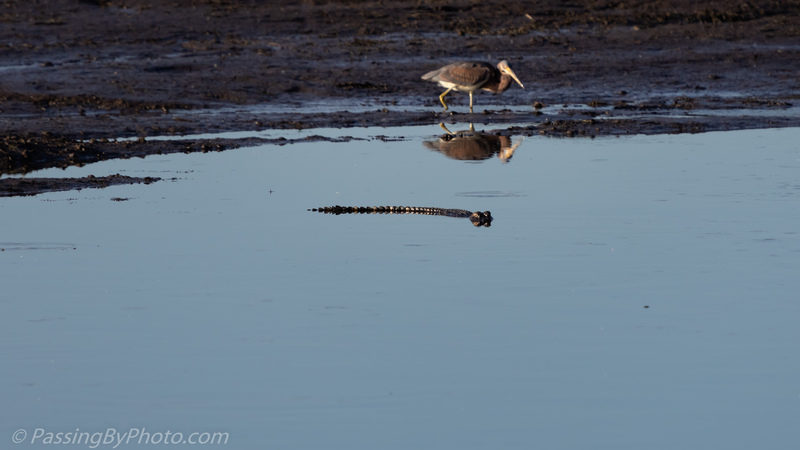 The last image is focused on the Alligator, that was content to hold that spot while the Tricolored Heron hunted behind him. 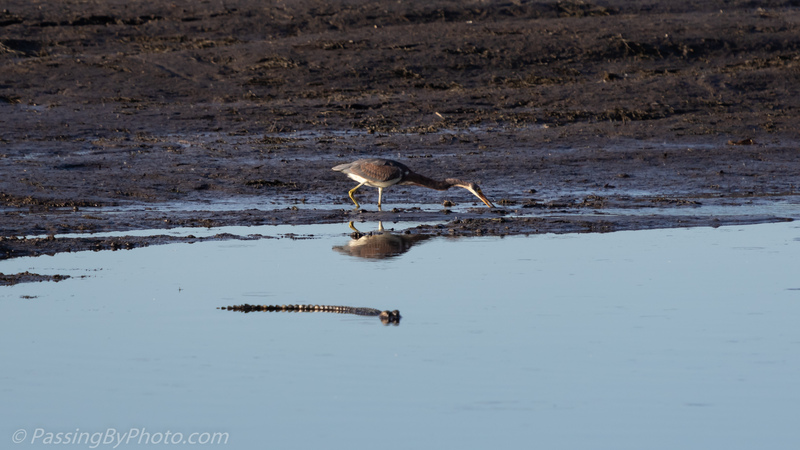 The wading birds mostly ignore the Alligators and will fly off a few feet when a gator moves near them, often into the path of another one! That seems odd to us, but based on my observations the threat to birds is really quite small.